According to the Centre for Ageing Research and Development in Ireland, ‘‘Social engagement is key for the health, well-being and independence of older people’’. Further, ”Community projects that cater to the needs of diverse groups of older people are important in encouraging social engagement and interaction’’. 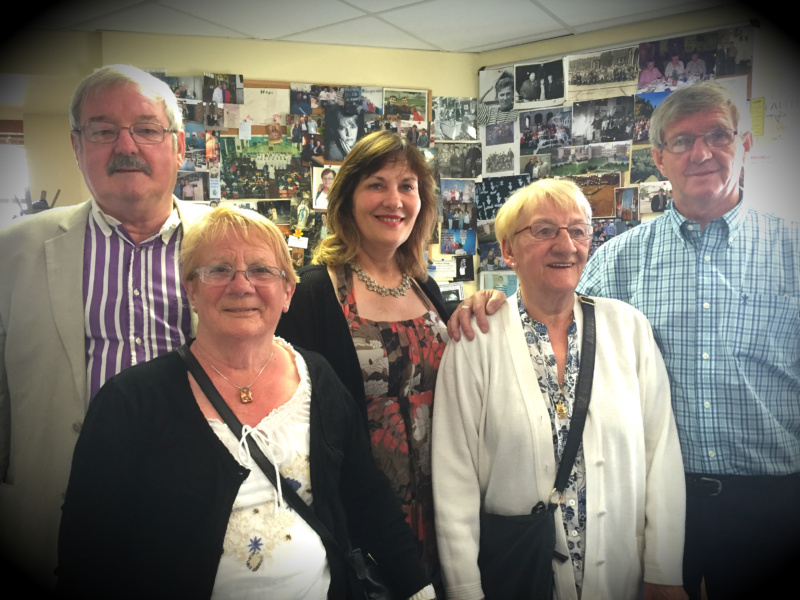 Chair Person – Tony Dunleavy, Member – Mary Byrne, Secretary – Irene Crawley, Committee Member – Maggie O’Dea, Treasurer – Joe Dowling. The North Inner City Older Persons’ Group is a voluntary organisation that holds a biannual day out in the summer and in the winter. Every year, around one hundred and fifty older people from the tight-knit community of the north east inner city descend on the Waterside Hotel in Donabate, North County Dublin. Over the years the group fund-raised amongst themselves and small local organisations. Through collections and raffle tickets the group funded each event themselves. This year, they would like to get funding through sponsorship. Each event costs in and around seven thousand euro. With transportation, food, drinks and entertainment for the evening, it works out to about 40 to 50 euro per head. A staggering amount for those only in receipt of the O.A.P. These are people who are mostly living in isolation, with little to no family. A lot of the older people in the community have lost their families to drink and drugs. All they have is themselves and their neighbours. Subsequently, for most of these older people, this is their only form of social outing! Committee Member, Maggie O’Dea, describes how the wheelchair bound are brough up for a dance. We would like to close with a great big thank you to everyone that has supported the group’s event in the previous years. Through the hard work and dedication of the community, we have been lucky enough to host this biannual event. This year, however, the hard work of the community is not enough and we need to go further to ensure the older people of this community can still have their day out. The North Inner City Older People’s Group are looking for direct sponsorship or donations to help fund the biannual day out for the older people of the North Inner City. Donations can be made out to ‘The North Inner City Older People’s Group’, AIB Upper O’Connell Street, Dublin 1. NSC: 931136. ACC. : 04486042. No amount is too small, and remember, a little help can go a long way. If you or anyone you know (older persons) is at risk of isolation or loneliness, there are a number of organisations that can help. As well, the Citizen’s Information website details the various groups working in consideration of Ireland’s older people.